The story of ‘Gorgeous ‘George O’Connell, bare-knuckle fighter and traveller, who enters the world of professional boxing which puts him on a collision course with his roots, his identity and his greatest fear. ‘Gypsy Queen‘ arrives at Hope Mill Theatre direct from a tour that has included the Dublin International Gay Theatre Festival, the Brighton Fringe Festival, the Edinburgh Fringe and a three week run at the Kings Head Theatre, London. 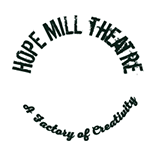 Hope Theatre Company are delighted to return to Hope Mill Theatre after their sell-out LGBT+ arts event OUT/STAGE/US earlier this year. For over a decade and lead by Artistic Director Adam Zane, Hope has produced exciting LGBT+ theatre including The Laramie Project, Yesterday when I was young, Village Voices and the UK Premiere of The Laramie Project: 10 Years Later. ‘Gypsy Queen’ is the new play by Rob Ward, co-writer of one-man show ‘Away From Home’ that toured nationally and internationally between 2013 and 2016, picking up critical acclaim and several awards including Manchester Theatre Awards for Best New Play and Best Fringe Performance.